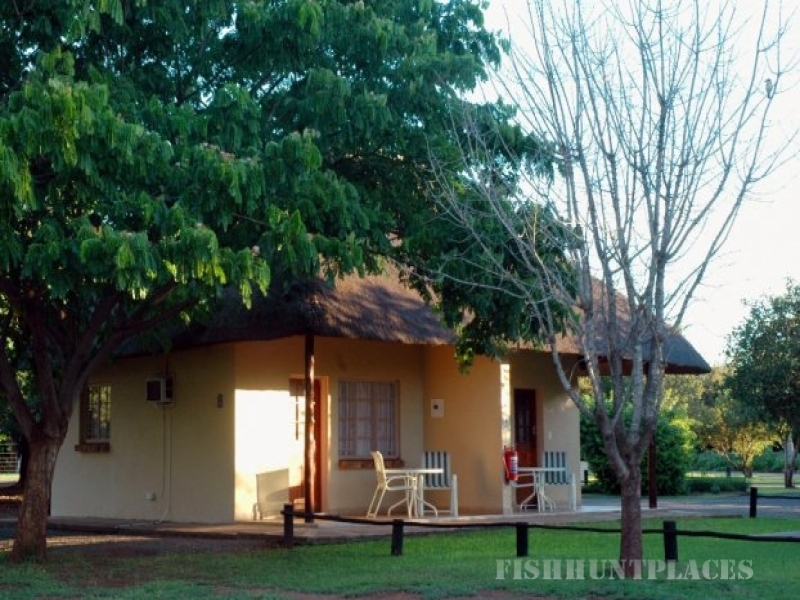 Komati River Chalets is nestled on the confluence of the Komati and Crocodile Rivers in the Southern Kruger Park region of Mpumalanga’s wild frontier. Situated on 12 acres of Komati river front wilderness ensures that this is one of the regions premier country estates. Set above the flood plain of the Komati River, the restaurant, bar and pool facilities, and the individual chalets are no more than fifty meters from the water’s edge where pods of hippos and an array of spectacular bird life will entertain for hours on end. 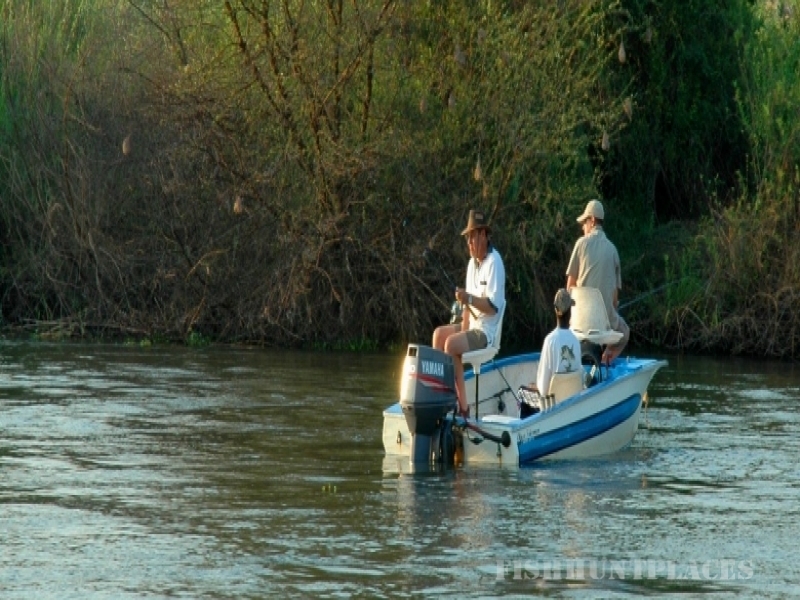 The Komati River is home to numerous species of fresh water fish. 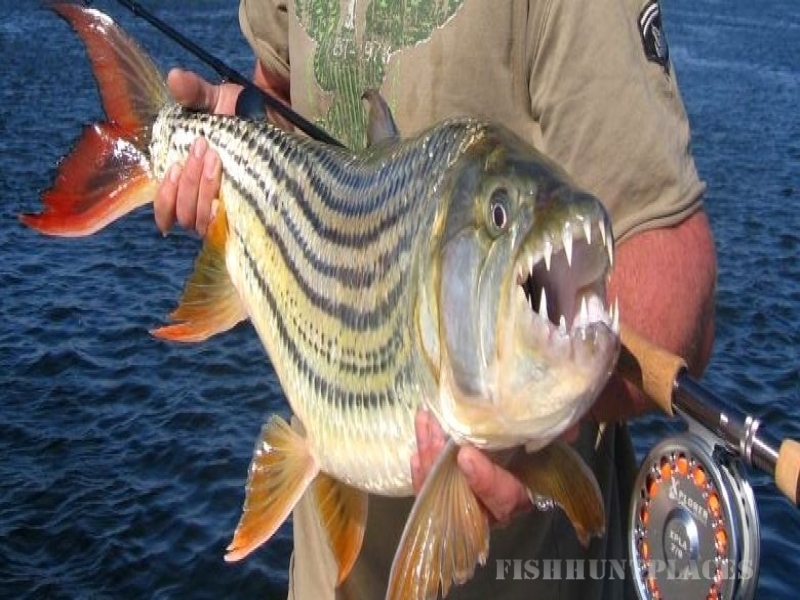 The most famous of these species is the Tiger Fish, due to its supreme game fish status as Africa's best fresh water fighting fish. 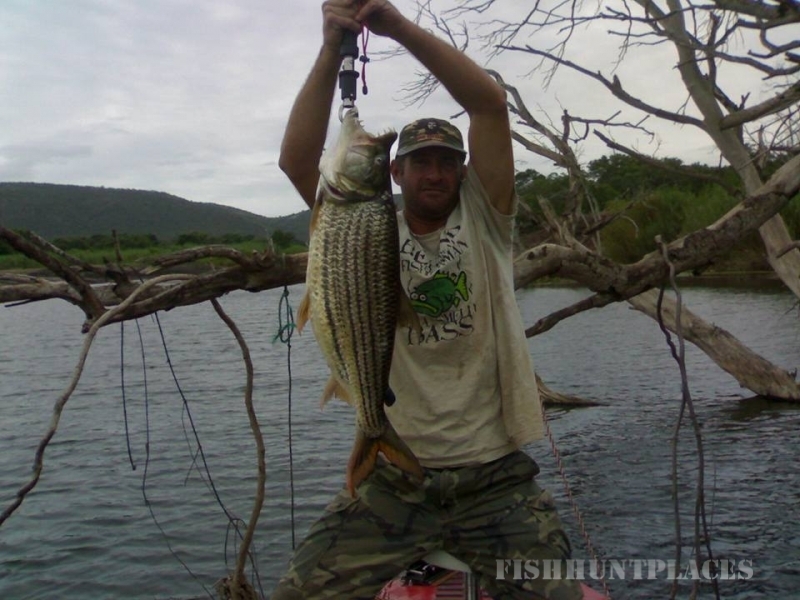 There are various well positioned spots all along the river front on the property for keen anglers! Other species that can be caught from the property are Mozimbique Bream (Blue Kurper), Red breasted bream, Mudfish, Catfish and carp.